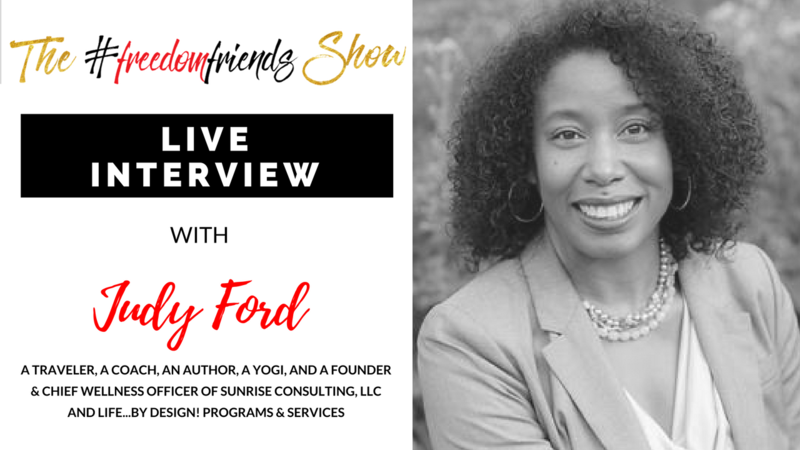 Today we talk to Ms. Judy M. Ford, a traveler, a coach, an author, a yogi, and a Founder & Chief Wellness Officer of Sunrise Consulting, LLC and Life…by Design! Programs & Services. Judy and I have an awesome time to talk about how coaching encourages her as a career, what she discovered in social media, the lessons that she’d learned in her coaching program, and her knowledge about self-care, self-right, self-understanding, and self-awareness. Judy M. Ford is a Founder & Chief Wellness Officer of Sunrise Consulting, LLC and Life…by Design! Programs & Services. She provides executive/leadership, career/job, and life/wellness coaching services tailored to the personal and professional development needs of individuals; as well as staff and leaders within organizations. Judy specializes in coaching individuals facing major career/life transitions; women, women leaders, and Soul-driven women entrepreneurs; next generation/emerging leaders; and leaders of color. Integrating a leadership philosophy deeply rooted in the values of servant and transformational leadership, ‘leadership as a way of being,’ and the philosophy and methodology of Coaching as a Healing Practice, she provides uniquely tailored, breakthrough coaching services that are particularly focused on supporting comprehensive development of the ‘soft skills’ critically necessary for 21st century life satisfaction, career success, and leadership effectiveness. Through her expertise as a holistic life & transition coach, Life…by Design! Programs & Services, and Coaching as a Healing Practice, Judy brings the full complement of her life experience to her role as a coach embodied in a coaching style that is welcoming, compassionate, insightful and non-judgmental; while at the same time learning-focused, action-oriented, and results-driven.